Here at Halfway Bush Kindergarten, children can enjoy our relaxed atmosphere where they are free to explore and learn at their own pace. Whanau are made to feel welcome and encouraged to guide and be a part of their children’s learning. We are inclusive and flexible within our setting. We embrace all the cultures of our community and learning styles of our children. 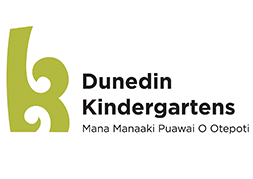 We provide our children with an exciting outdoor natural environment, in all types of weather, and have a weekly excursion to our forest on our mountain, Whanaupaki. Children are encouraged to challenge themselves physically, creatively and mentally, while allowing them opportunities and time to self-assess risk and follow their interests. The aim of our forest programme is to provide our children, their whanau and community, opportunities to explore and connect with nature and our local natural environments including our mountain, Whanaupaki. We travel to our local forest every Tuesday, with our oldest 20 children, two teachers and our enthusiastic parent helpers. We are also regularly joined on our trips by groups of children and teachers from our local primary schools. Together we discover, explore and learn about nature and our role in protecting and preserving our natural environment. This valuable time together allows us to nurture our relationships with each other, our environment and our community.